Apple ditched Qualcomm LTE modems in favor of Intel’s next-gen XMM7560 modems for this year’s iPhone XS and XS Max. It’s not because Intel modems are superior to their Qualcomm counterparts but because of the legal battle between Apple and Qualcomm. The iPhone XS Max LTE speed tests conducted by Cellular Insights and Ookla and shared by PCMag suggest Intel’s new modem is much better than its predecessor but still can’t match its Qualcomm rival. Intel’s new XMM7560 modem is capable of communicating with networks run by all four major US carriers. The iPhone XS and XS Max also get 4×4 MIMO antennas, which boost speed and performance in areas with weak cellular signals. For testing, Cellular Insights created a 20MHz channel of Band 4 with Rohde & Schwartz equipment that supports 4×4 MIMO configurations. They pitted the iPhone XS Max against the Galaxy Note 9 (Qualcomm X20 modem) and Google Pixel 2 (Qualcomm X16 modem). Last year’s iPhone X with Intel’s XMM7480 was also part of the test. Cellular Insights attenuated a strong -85 dBm LTE signal and decreased it slowly until all four devices stopped downloading data. When the signals are strong, iPhone XS Max LTE speed is almost on par with the Pixel 2 and Galaxy Note 9. All three handsets achieved close to 400Mbps download speeds at -85 dBm, though the XS Max lagged slightly behind the Note 9 and Pixel 2. The difference between the three phones gets slimmer as the cellular signals get weaker. Thanks to the 4×4 MIMO antennas, the iPhone XS Max LTE speed is double that of the iPhone X. The iPhone XS Max comes closest to its Android rivals at signal levels below -120 dBm, when there is between zero and one bar of reception. It completely stops receiving cellular data at -128 dBm. In contrast, the Galaxy Note 9 continued to function until -131 dBm while the Pixel 2 kept receiving data even beyond the measured range. However, the Pixel 2 performance declined to just 10Mbps. 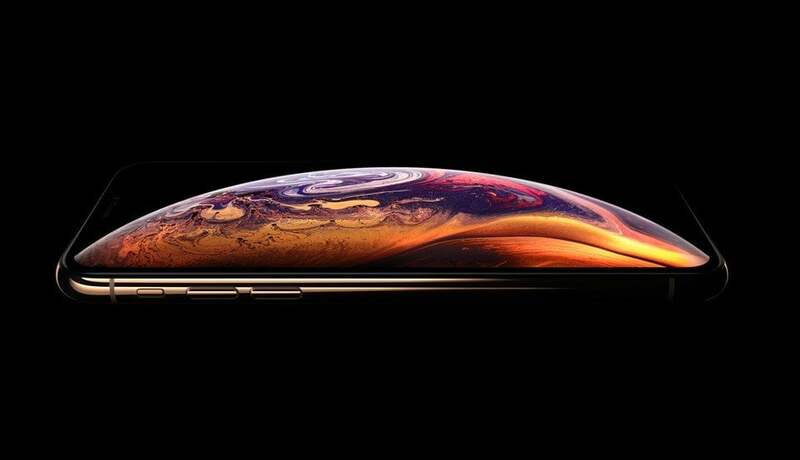 The iPhone XS and XS Max are nearly identical handsets with similar performances. Both these devices lag behind the Note 9 and Pixel 2 that use Qualcomm modems. If you are coming from iPhone X to the XS or XS Max, you’ll see dramatic improvements at all signal levels. The iPhone XS Max LTE speed is nearly double that of the iPhone X under good conditions. Speed test specialist Ookla conducted real-world tests to assess the cellular speed of the iPhone XS. They found that download speeds on the new iPhones have increased by 6.6Mbps on average on all US carriers. In Canada, the average download speed jumped by 20.2Mbps compared to iPhone X. Telus witnessed the biggest jump of nearly 32Mbps. In the US, AT&T showed the biggest improvement (8Mbps) in iPhone XS LTE speed compared to the iPhone X. It was followed by T-Mobile at 6.6Mbps, Verizon at 5.7Mbps, and Sprint at 2.3Mbps. The iPhone X on AT&T and T-Mobile used Intel modems while Verizon and Sprint versions used Qualcomm modems. It helps explain why the iPhone XS on AT&T and T-Mobile witnessed bigger improvements. Ookla noted that the iPhone X performance after upgrading from iOS 11 to iOS 12 is similar to the performance levels of Qualcomm versions of iPhone X running iOS 11. Apple has improved performance and stability, even on older devices, with the iOS 12. Coming back to comparisons, Ookla found that the Galaxy Note 9 showed an average LTE download speed of 43.2Mbps, higher than the iPhone XS’s 38.9Mbps in the United States. In Canada, the Note 9 averaged 97.7Mbps versus iPhone XS’s 85.4Mbps. Ookla collected the speed comparison data during the week of September 24. Though the iPhone XS and iPhone XS Max LTE speed has improved dramatically compared to iPhone X, users have complained about cellular connectivity issues on the new models. Customers said in areas where their older iPhones used to have 3 or 4 LTE bars consistently, the new iPhones struggle to connect to LTE networks. Even if they manage to connect, the download speeds are terrible. PCMag said they didn’t notice any issues with the hardware during testing. They speculate that the problem could be due to a bug in iOS 12 software. Apple could fix it via an over-the-air update.